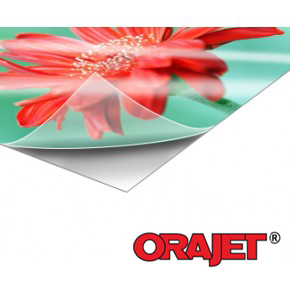 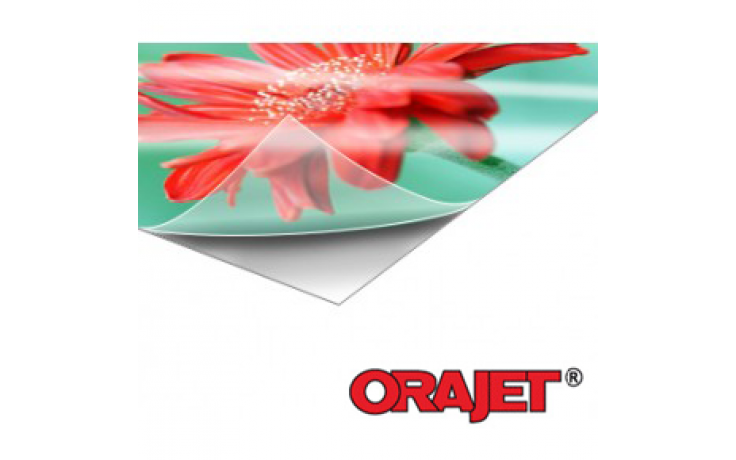 The Oracal 3651 (Clear Permanent Vinyl) is similar to that of the standard glossy vinyl. 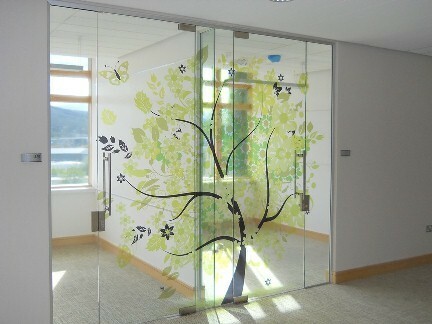 This is an all around good vinyl whenever you need a clear vinyl application. 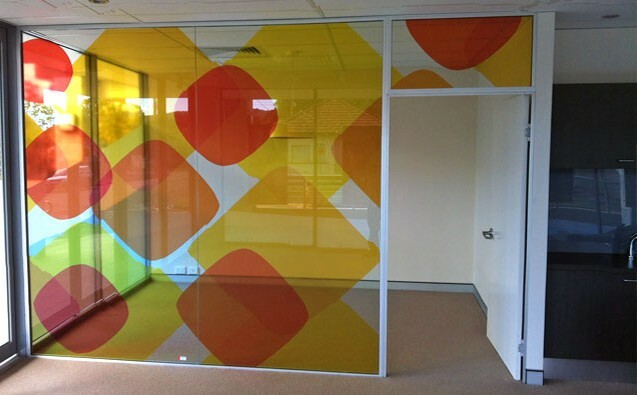 With clear vinyls, you have the option to reverse print so that the graphics can be installed from the inside of windows and viewed from the outside. 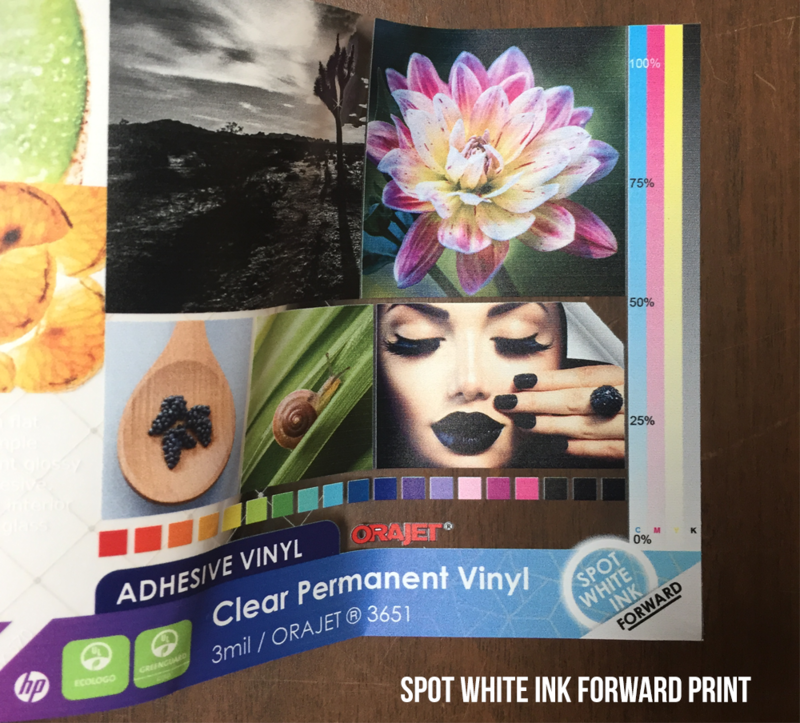 Forward Print - Spot White (Install from outside) : When you have graphics with both clear and solid parts. 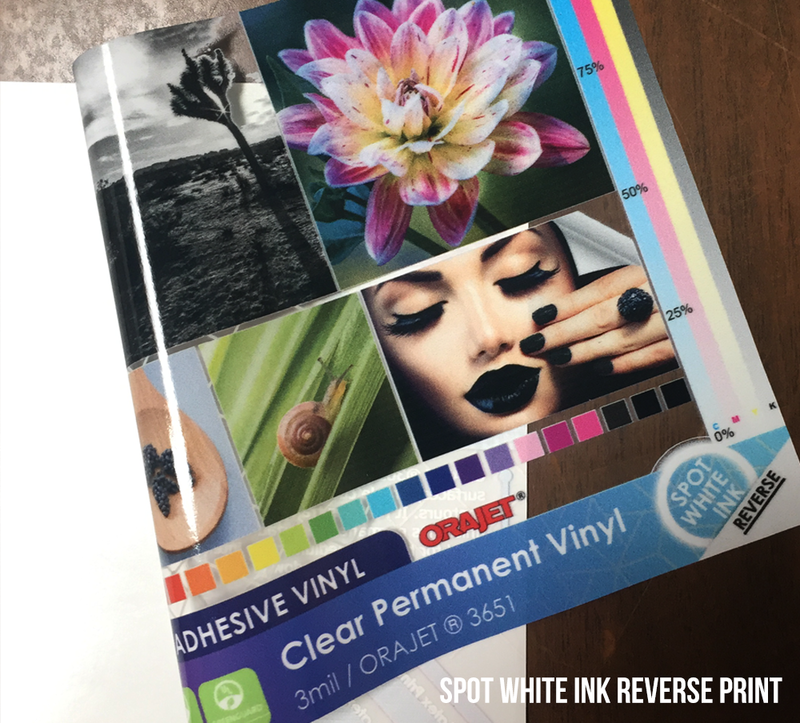 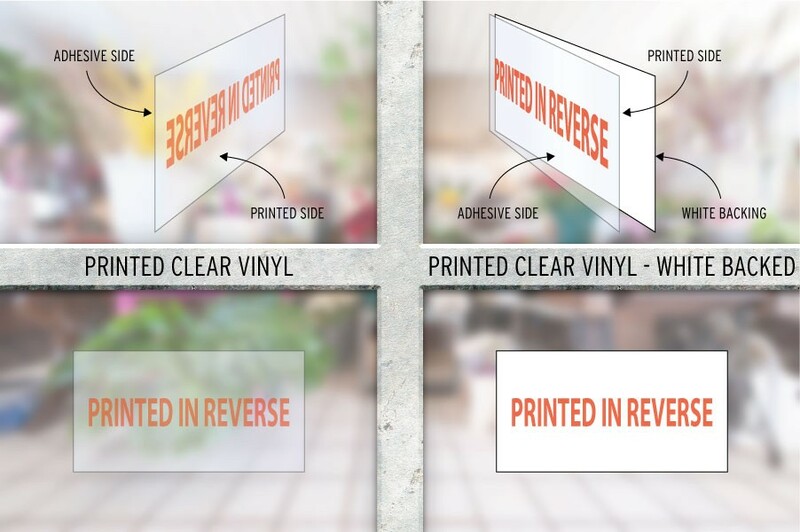 Reversed Print - Spot White (Install from inside) : For graphics installed on the inside and viewed from the outside with some clear parts and solid parts. 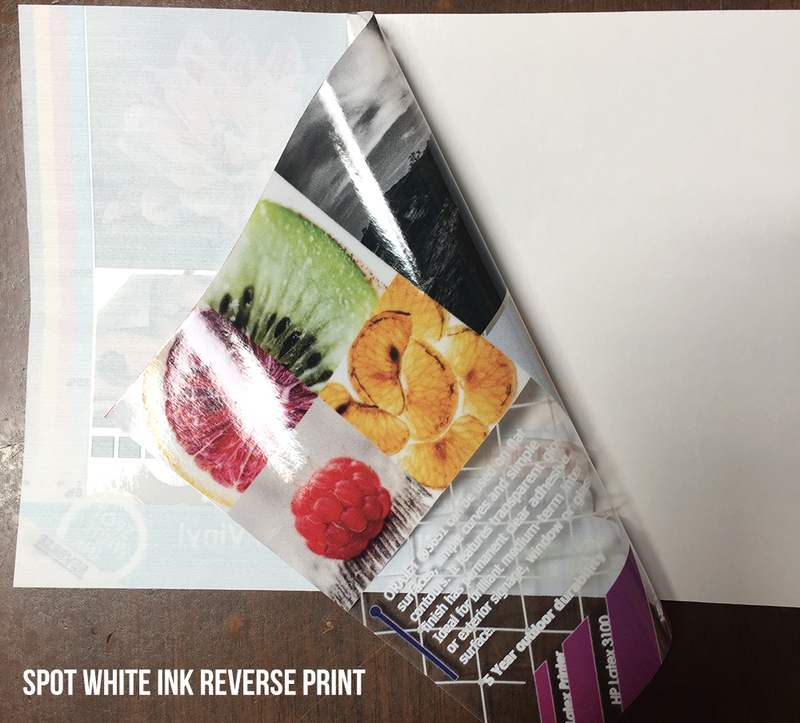 Reversed Print - Full White (Install from inside) : For graphics to be installed on the inside and viewed from the outside with no clear parts.